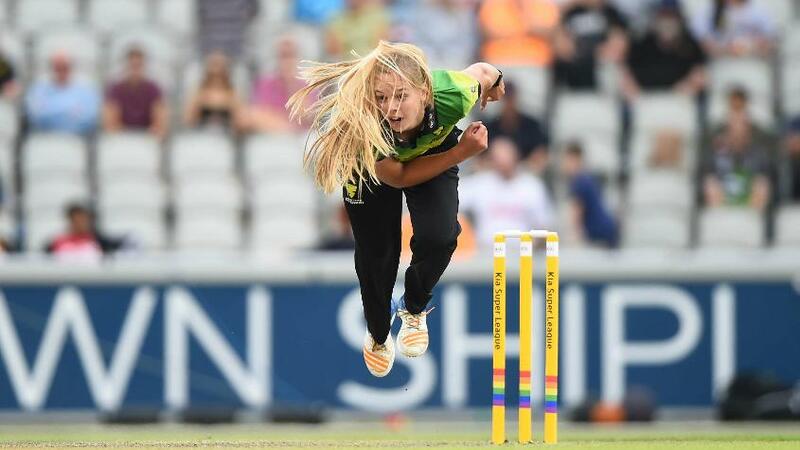 The trio of Smriti Mandhana, Heather Knight and Stafanie Taylor put on sterling shows as Western Storm trumped Lancashire Thunder by 76 in the Women's Cricket Super League. Storm have been the outstanding team in the competition so far, and India’s Mandhana has been one of the prime reasons for it, slamming 387 runs from seven outings at a strike rate of 185.16. So dominant has Mandhana been, that Heather Knight and especially Stafanie Taylor have been overshadowed. But the respective captains of the England and Windies sides came to the party in the game against Thunder. 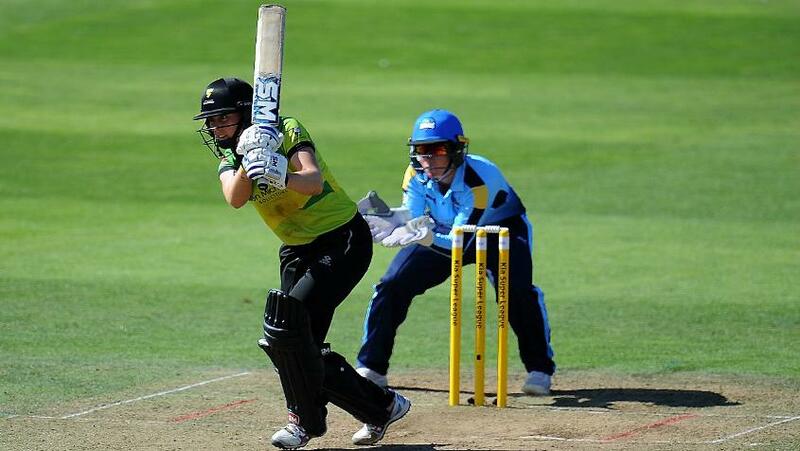 They smashed half-centuries to take Storm to the highest score of the competition – 185/4 – and hand a big defeat to Thunder on Thursday, August 9. Not that Mandhana didn’t have another good game. She lost opening partner Rachel Priest cheaply, but went on to hit a 25-ball 49, doing most of the scoring in a 66-run second-wicket stand with Knight. Once Mandhana fell, however, Knight blossomed. She and Taylor added 102 runs in just over 11 overs for the third wicket, swinging away to push Thunder out of the game and take Storm towards Finals Day. Knight was dismissed off the last ball of the penultimate over of the innings for 76, scored off 50 balls with nine fours and a six, but Taylor still had time to score her first half-century of the tournament, ending on 51* off 37 balls, having hit five fours and a six. Add Priest’s solitary four and Mandhana’s seven fours and two sixes, and the innings had a total of 22 hits to the fence and four over it. It was a big chase, and despite Nicole Bolton’s 21 and Eleanor Threlkeld’s 33, Thunder only managed 109 as Welsh pacer Claire Nicholas returned 3/11. “The wickets are really good to bat on. The ball is really coming on to the bat. I am timing the ball really well in the nets, so really keen to get that same kind of touch in the match. More than the runs, I am really happy the way I am timing the ball. So yeah, quite pleased,” said Mandhana, who has hit the tournament’s only century so far and has a lowest score of 37 in seven games. Nicholas, who now has six wickets from six games, suggested that Storm, who are top of the six-team table with 28 points – Loughborough Lightning were stuck in second place on 23 points after losing to Surrey Stars on the same day – still haven’t peaked. “It was a great team effort and a pretty comprehensive win, but we’re still not firing on all cylinders. The best is still to come and, hopefully, we can go up a couple more gears,” said Nicholas. “That’s five wins in a row and we’re building real momentum going into the final stages of the tournament. “Smriti is on fire right now and everything she does seems to come off for her and the team. I thought Heather and Stafanie played really intelligent innings and we always fancied ourselves defending a total like that. “We stuck to our plans in the field, bowled a tight line throughout and took early wickets, which really made the difference. It was good to get among the wickets and that will do my confidence a world of good."